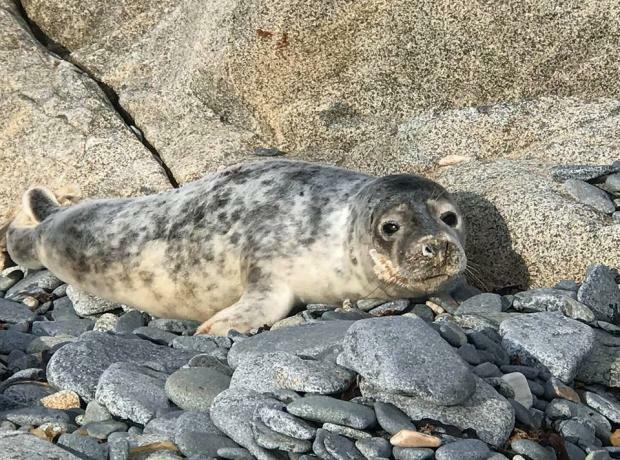 Due to the recent inclement weather and rough seas the GSPCA have been struggling to source enough fish to feed the six seal pups that are rehabilitating at the GSPCA. An Urgent Fish Appeal went out and we received some wonderful donations from local fisherman, individuals and companies but we have to say a huge thanks to Solent Clams Ltd. When fish supplies were desperately low the team at the GSPCA contacted almost everyone they could think of. Yesterday morning the GSPCA team were called out to yet another sick and very underweight grey seal pup. The call came near the Fairy Ring and the team when they arrived were faced with an emaciated and very poorly young seal pup which was half the weight it should be. 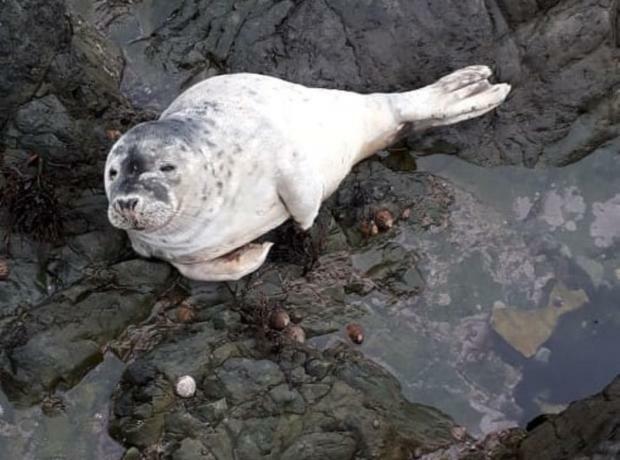 The pup was quickly recued and transported to the GSPCA and the young pup at only a few weeks old should be over 40kgs and was just 20.6kg when rescued with no mother in site. This takes the numbers of seal pups to the highest it has ever been in our long history. Yesterday afternoon the GSPCA rescued a 4th grey seal pup. The very poorly pup was spotted just behind the pond on Route de Pulias, often called the Smelly Pond. The GSPCA Volunteer Warden was the first to arrive on the scene before other GSPCA team members arrived to help the sick seal pup. 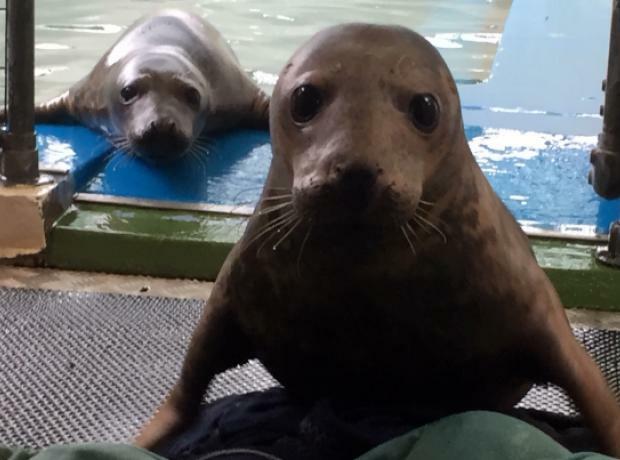 With 3 seal pups already in the care of the GSPCA, the team had to prepare for the 4th pup whilst ‘Sealia’ as she has been called was being rescued on the North West of Guernsey. 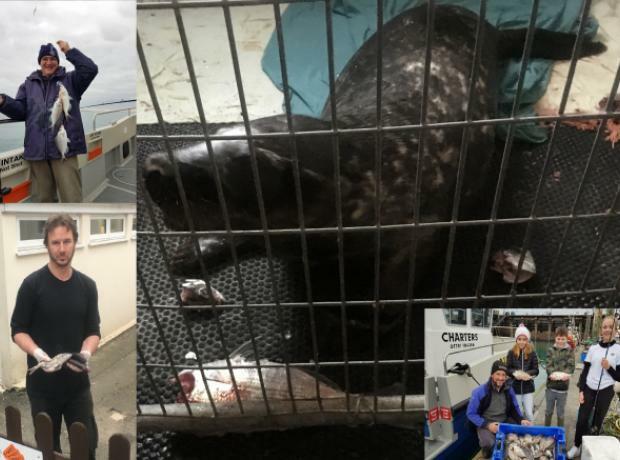 At the GSPCA only hours ago we had a box of approximately 10kg of fresh fish delivered to the Shelter by Mr. Brian Billion who had been out fishing with his family earlier today especially for the 3 seal pups at the GSPCA. 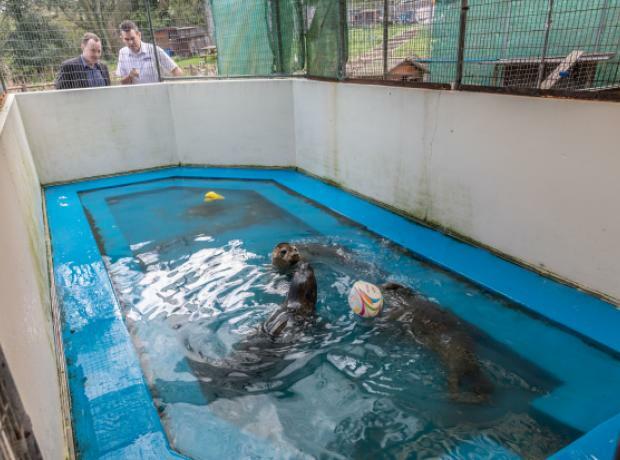 The donation was kindly accepted from reception by the Community and Training Officer Tim Pellet who said “What a wonderful donation of the freshest fish we have seen this year for the 3 seal pups. With over 500 animals in our care we are extremely busy at the GSPCA and are appealing for blankets and especially towels to help to provide them with bedding, to help with handling and drying off. So if you are having an early Spring clean and clearing out your airing cupboard or sorting through your linen please think of the many animals in our care. Steve Byrne GSPCA Manager said "We use hundreds of towels and blankets every day at the GSPCA and our 4 laundry machines are on around the clock."